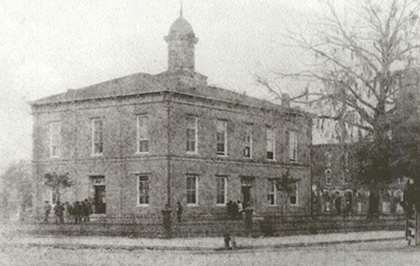 Built in approximately 1846, the first courthouse was on the corner of Main and Ft. King Street and while photos aren’t available it is described as basically a long cabin. The Courthouse Square was a city block bordered on the north by Silver Springs Blvd., on the east by 1st Ave., on the south by Broadway and on the west by Magnolia Avenue. Designated as a Public Square in the original Ocala plat of 1846, this location was the site of the second courthouse (and first permanent courthouse) built in 1851 which was described as a two-story frame building of Colonial design. The third courthouse was erected on the same site in 1884 and was a two-story brick cube. Two of the biggest complaints about the 1884 courthouse were that it became too small almost immediately, and that there was no way for handicapped people to get to the second floor. 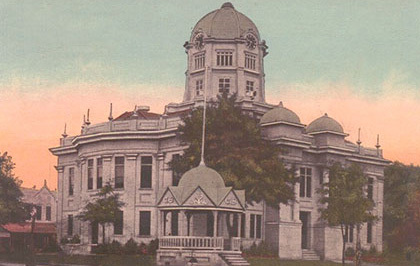 Public dissatisfaction caused a fourth courthouse with more adequate space to be built in 1906. It was of Roman design with a clock dome and veneered walls of Indiana sandstone. The decision to build a new courthouse in the 1960’s, instead of expanding the old one, was very controversial. There were proposals to turn the building into a museum, but these did not go very far. The City Council of the day was against anything old and demolished what they could to make way for what was new . In 1965, when public efforts to save it failed, it was finally demolished. The County Commission of the day decided to give the site in property exchange to the City of Ocala, thus retaining its function as a Public Square as planned by the city’s founders. 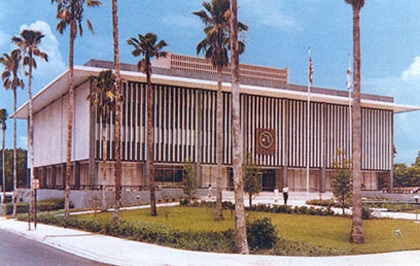 The fifth courthouse was built on the current location and combines the original 1963 courthouse as well as a 1991 and 2010 expansion. 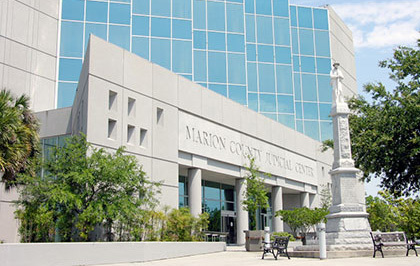 The first expansion to the existing courthouse took place in 1991 and the courthouse was officially renamed the Marion County Judicial Center. A cornerstone from the 1906 Marion County Courthouse on the square in downtown Ocala was included in the 1991 addition. 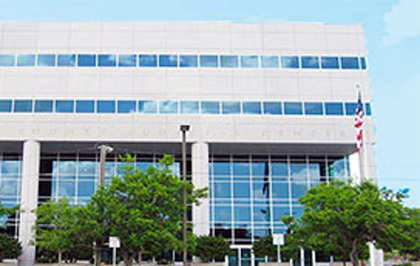 The second expansion to the courthouse opened in 2010 and added 146,520 square feet of space to the existing courthouse and the new construction features five new courtrooms, a large jury assembly area as well as new office space and hearing rooms.